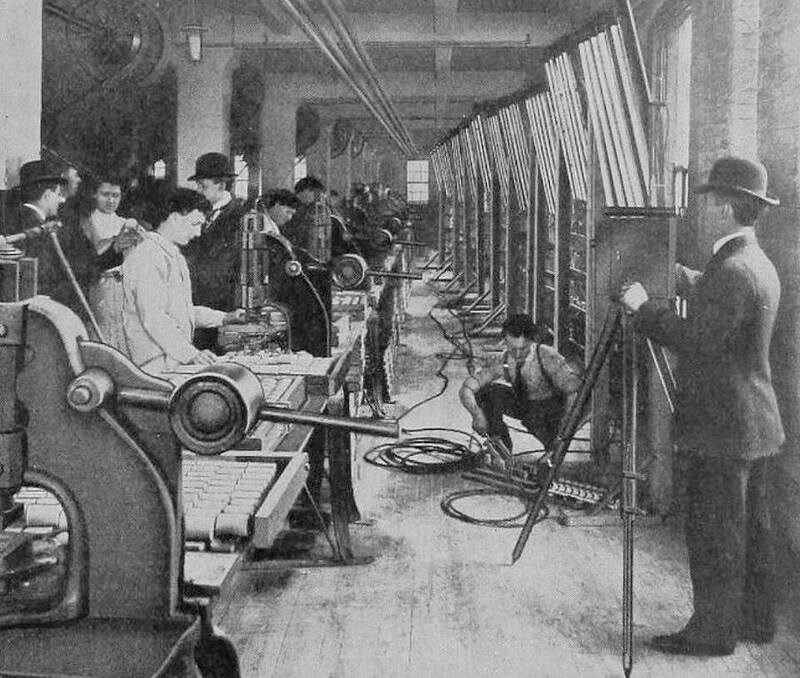 The photo documents the making of an early industrial film for the Larkin Factories of Buffalo, New York, a massive company which manufactured over 300 products — everything from toiletries to peanut butter. The sprawling factory, which covered more than 50 acres of floor space, was of such interest to the curious public that there were regularly scheduled tours. Mr. McGuire: I just want to say two words to you, just two words. Ben: …Exactly how do you mean? Mr. McGuire: There’s a great future in motographic advertising. Think about it. Will you think about it? Mt. McGuire: Enough said. That’s a deal. It seems unlikely that this film has survived, but it would be fascinating to see it. Photo is from the October, 1909 issue of the trade magazine The Nickelodeon. Read the accompanying article about the Larkin film in the scanned magazine here. See a larger image of the photo here. An exhaustive look at the history of the Larkin Factories can be found here. Images of the factory can be seen here. This entry was posted in 1900s, Industry, Show Biz, USA: New York and tagged Filmmaking. Bookmark the permalink.